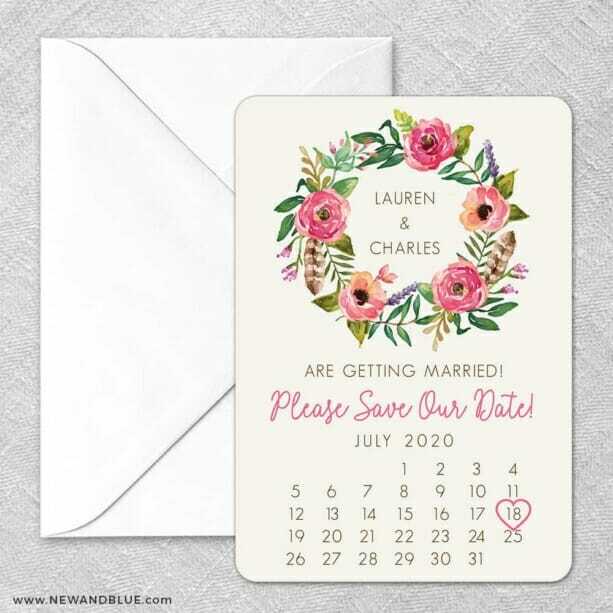 Even better in person!I was searching all over for the perfect floral calendar save the date magnet and finally found this one! They came SO fast and look even cuter in person! Love how you could customize the colors, fonts, envelopes, etc. I highly recommend these and already received so many compliments from friends and family!